It has been a big week here in our home. 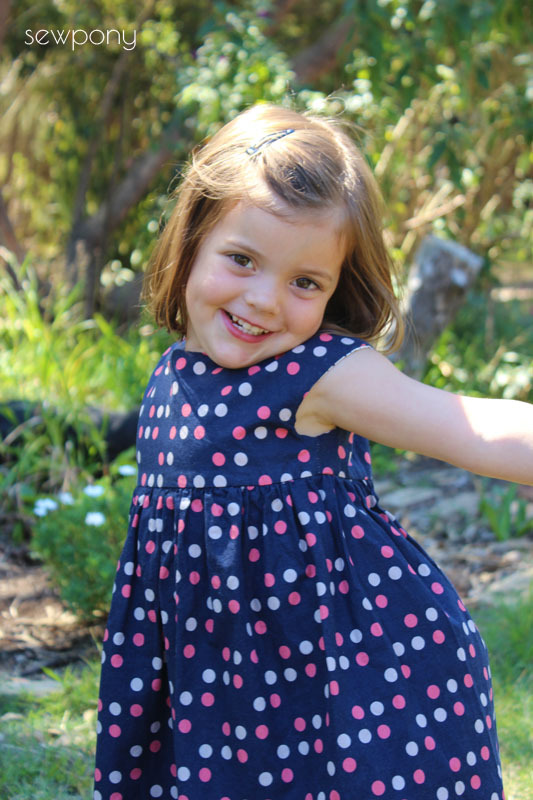 Juliette started school, Isabella started grade 2 and little Emily started big girl kinder. I shed a few tears sending my littlest girl off into a world without Mummy, bus she seems to be enjoying her independence and is settling in well. 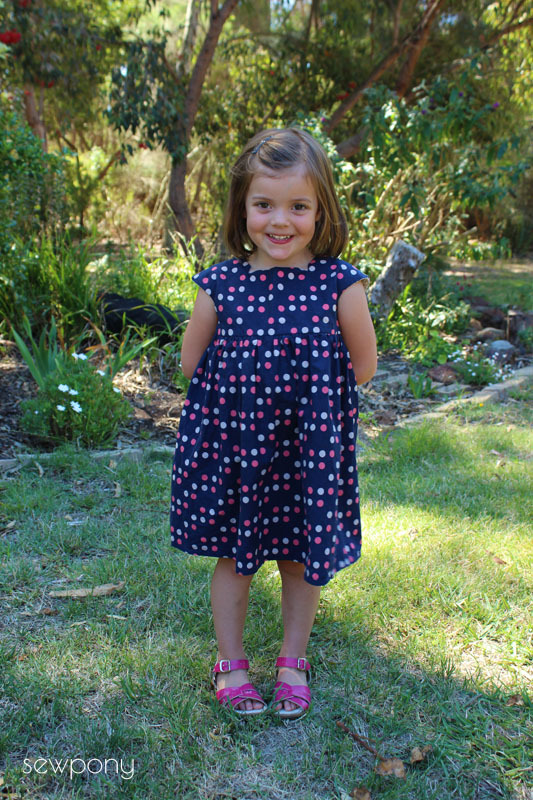 Juliette and Issie are wearing homemade uniforms so I wanted Emily to have a new kinder dress. 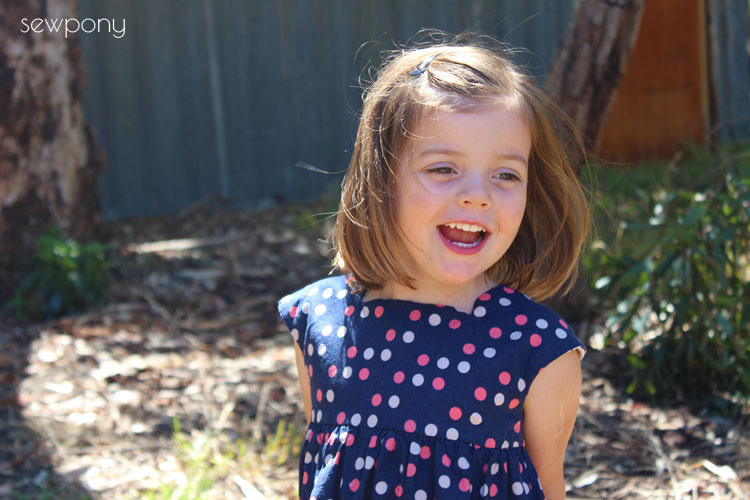 Juliette has settled into school well too which is great. I was saving up this lovely fabric and a dress for playing in suited the colours and texture of this fabric perfectly. The fabric was supplied to me by the lovely Hawthorne Threads. 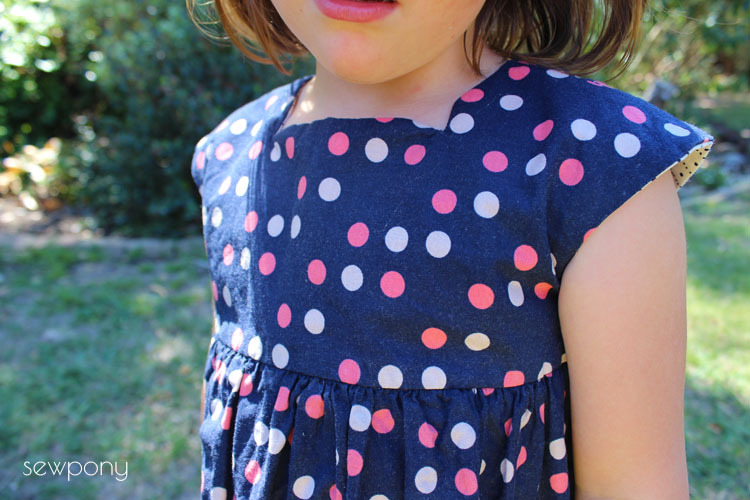 It is by Kimberley Kight for Cotton and Steel and is called "Dime store dot in navy" from the Lucky Strike collection. It comes in a coral colour way too which is lovely. The fabric was super soft to work with and the dress has already been washed and worn three times and requires minimal ironing - which I love! I notched the neckline on either side like An did here for some interest. Emily gave me lots of silly faces, but this 'sleeping beauty' one is quite sweet! Thank you very much Hawthorne Threads for the beautiful fabric! 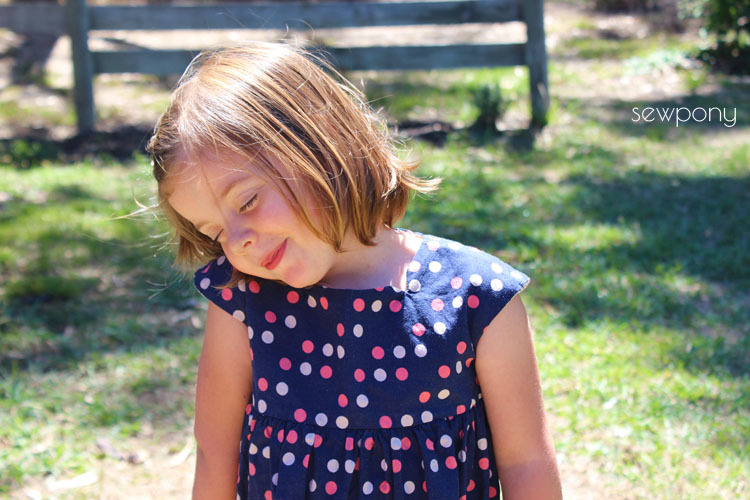 Emily loves her kinder dress. 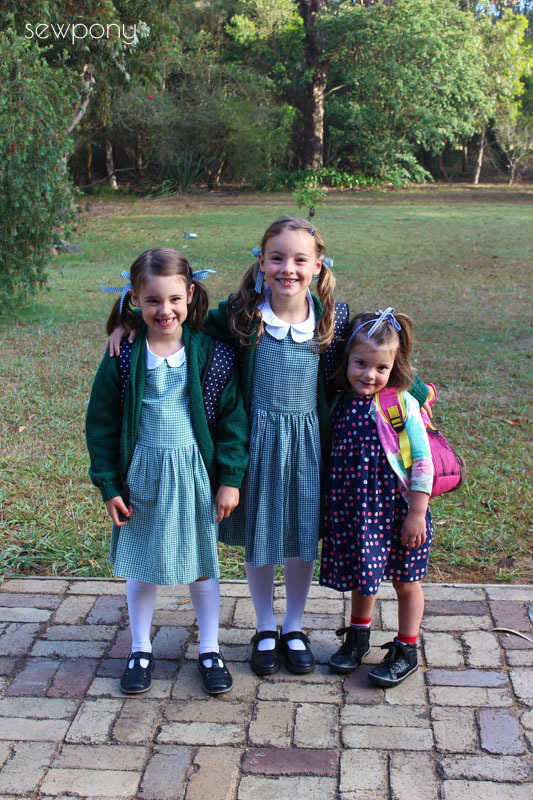 And here are my three big girls on their first day last week!!! Your girls have grown up so much, they are gorgeous! 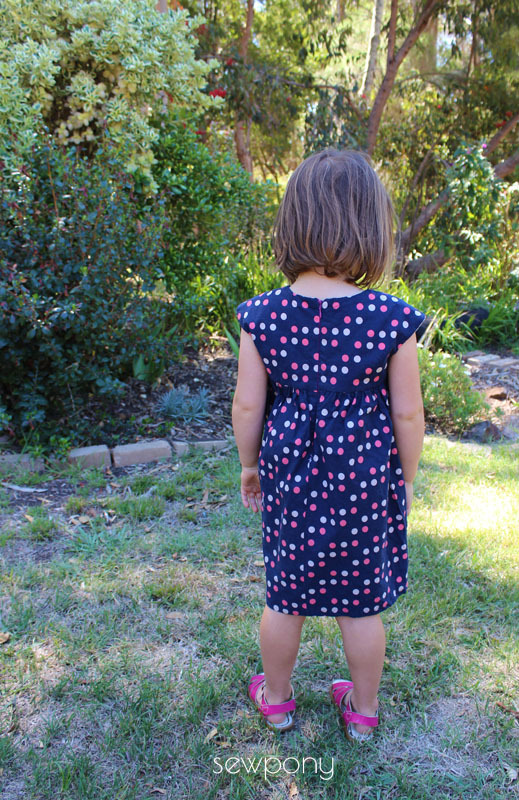 I love that you are able to make such fabulous dresses for school, so much nicer than store/school issued ones, as are all your creations too! Thank you Julie! I just need to find more green gingham- it is as rare as hen's teeth! They are so beautiful and really growing up.